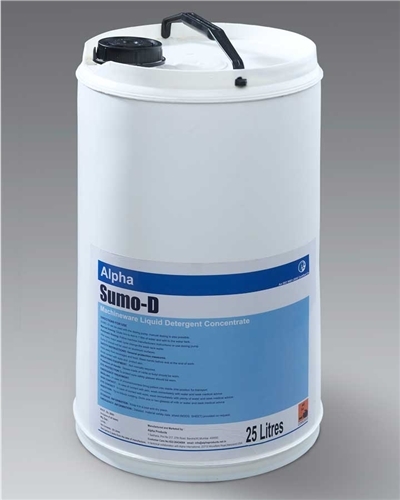 SUMO D is a clear automatic dishwasher liquid for complete removal of oily soils thus ensuring fast wetting and good detergency with foam always kept under control. Sumo-D can be used with the dosing pump, manual dosing is also possible. Manual Dosing: Dilute 3ml to 4ml in 1 liter of water and add to the water tank. Automatic Dosing: Follow machine manufacturer’s instructions or use dosing pump. After every major wash cycle. Change the wash tank water. SUMO-D should not be used on aluminum surfaces.